Oh YES! It’s exactly what you read. It’s a Chocolate Brownies Ball Dipped in Chocolate. But wait. 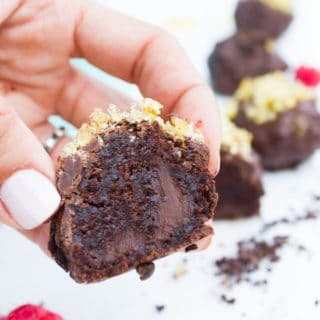 There’s a layer of chocolate truffles stuffed in each brownie ball! DIVINE. 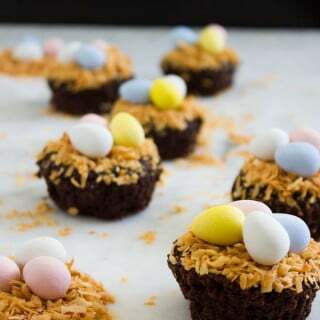 It’s one of those luscious, melt in your mouth and deep chocolatey bites. You can make these with dark, semisweet or milk chocolate–depending on your taste…. 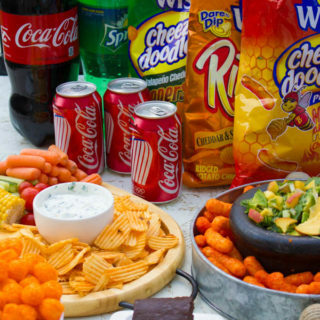 This Easy DIY Tailgate Party Food Tutorial is a bunch of my favorite recipes to help you throw a tailgate party in a breeze! It’s a combo of a quick Herb Yogurt Dip, a sweet and spicy Peach and Avocado Salsa and dark chocolate Coca-Cola Brownies!